US Rocker releases rare tracks with R'n'R HOF E Streeters. "For Rock'n'Roll currency, playing with the guys who have backed up 2 of the most accomplished rockers in history is about as good as it can get!" LONDON, ENGLAND, December 03, 2017 /24-7PressRelease/ -- Sha-La Music, Inc. announces the release of On E Street, a 4 song EP by US Rocker DownTown Mystic on UK Label Nub Music. The EP features rare studio performances by the Rock'n'Roll Hall of Fame rhythm section from Bruce Springsteen's legendary E Street Band--drummer "Mighty" Max Weinberg & bassist Garry Tallent. The EP is available online and digitally distributed via ADA/Warner Music for the UK and Europe. On E Street offers a rare look at one of the greatest rhythm sections in rock history playing together in the studio with an artist other than Bruce Springsteen. Despite having played with The Boss for over 40 years and doing studio work for various artists, Max & Garry have played together on the same session for only a few artists. This puts DownTown Mystic in some very exclusive company, like iconic rocker Ian Hunter, who was backed by the E Streeters after he left Mott The Hoople. Coincidently, Steve Holley and Paul Page, the current rhythm section for Ian Hunter's Rant Band, have played on every DownTown Mystic album helping to cement the rocker's connection to both artists. DownTown Mystic writer/producer Robert Allen comments, "For Rock'n'Roll currency, playing with the guys who have backed up 2 of the most accomplished rockers in history is about as good as it can get!" The 4 songs on the EP-- Way To Know, And You Know Why, Hard Enough & bonus track Sometimes Wrong, are new to the UK & Europe, but readily known in US Radio and TV circles. Way To Know had success at Americana Radio, going to #1 on the Roots Music Report Singles Chart, as well as appearing on NBC Universal TV's The Voice. DownTown Mystic recently contributed Way To Know to the Rage Against The Brexit Machine project that was released as a single in the UK last month by Nub Music. The emotionally charged And You Know Why is a song with a history of being recorded by female singers. Previously, Robert co-produced a Pop/Rock version with Garry, and another Dance/Pop version that Robert produced became a big sync placement. Top LA Music Supervisor Alexandra Patsavas/Chop Shop Music heard the track and placed it in the short lived TV series The Carrie Diaries. 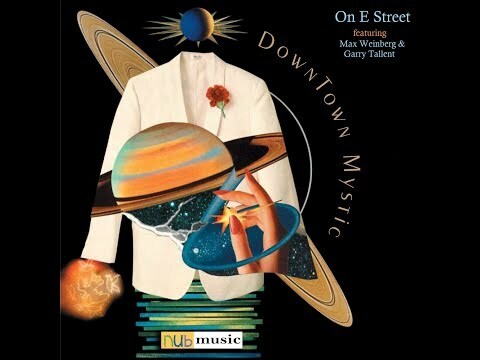 On E Street is a showcase for DownTown Mystic's motto,"vintage yet modern", thanks to the "old school" rock'n'roll vibe it gets courtesy of the 2 E Streeters. Robert adds, "It was such an honor to play with Max & Garry...I never wanted the sessions to end. They play so intuitively together--just a look from each other and they instinctively know what they're going to play or where to go next. It was very cool to watch and be a part of." Now everyone can be part of it too.